Stunning architecture, luxurious amenities, and a prime location are wrapped up into this rare, one-of-a-kind property in West Seattle! 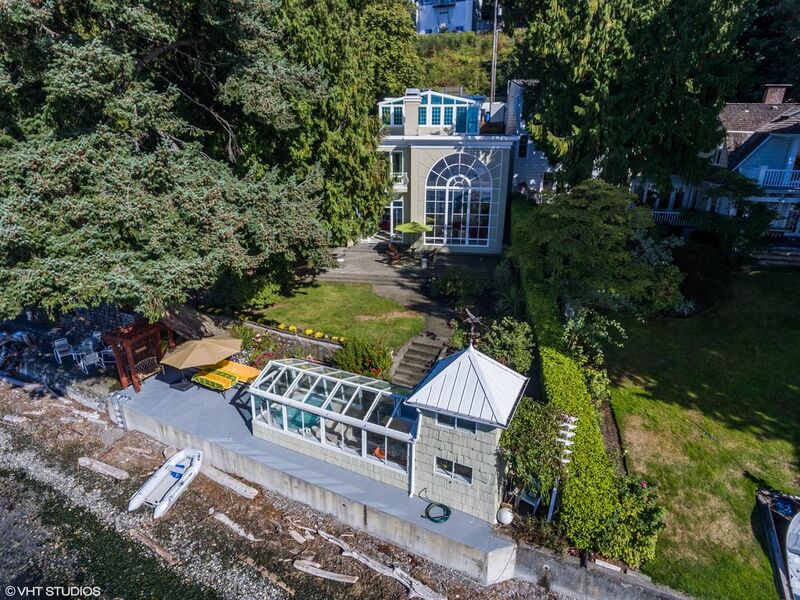 Nestled on 0.56 acres right on the waterfront of the Puget Sound, this architecturally distinct 3-bedroom, 3.25-bath home shows off front row seats to incredible views of not only the water, but breathtaking sunsets, the majestic Olympic Mountains, pods of orca whales, eagles, and so much more. 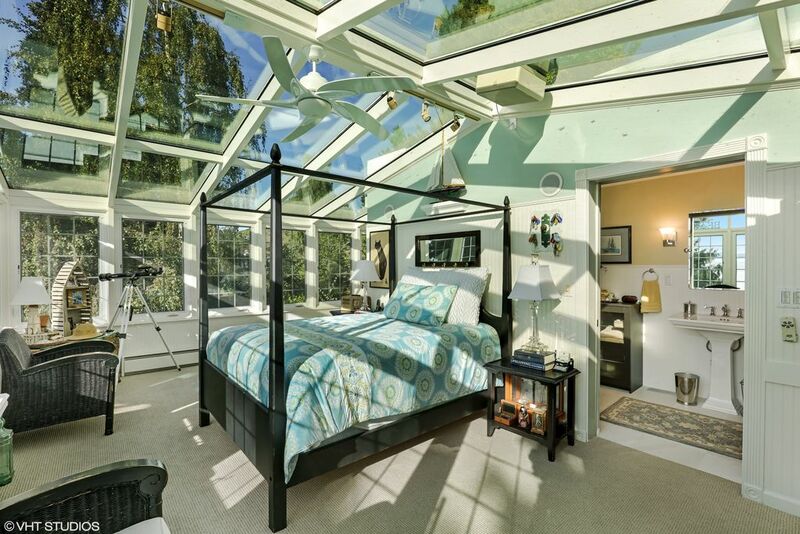 Located at 6037 Beach Dr SW Seattle WA 98136, this 3,896-square-foot custom-built masterpiece is listed for $2,649,000. The property’s current owners purchased the land back in 1988, and built their dream home right along the scenic saltwater! They desired a west-facing home that would be perfect for basking in painterly sunsets and views of the Olympic Mountains, as well as a home that would be ideal for entertaining in and sharing the waterfront experience with loved ones. Impeccably maintained over the years, the owners have done extensive upgrades to ensure that modern buyers delight every square inch of the property! When you arrive home, the top floor of this residence greets you, and here is where you’ll find the entrance from the street, the garage, the jaw-droppingly gorgeous glass atrium ceiling in the entryway, and the exquisite solarium bedroom with its attached bath. Whether you’re gazing up at the mysterious night sky or taking an afternoon rest while you take in views of the passing clouds, this sun-drenched oasis is ready for ultimate rejuvenation! 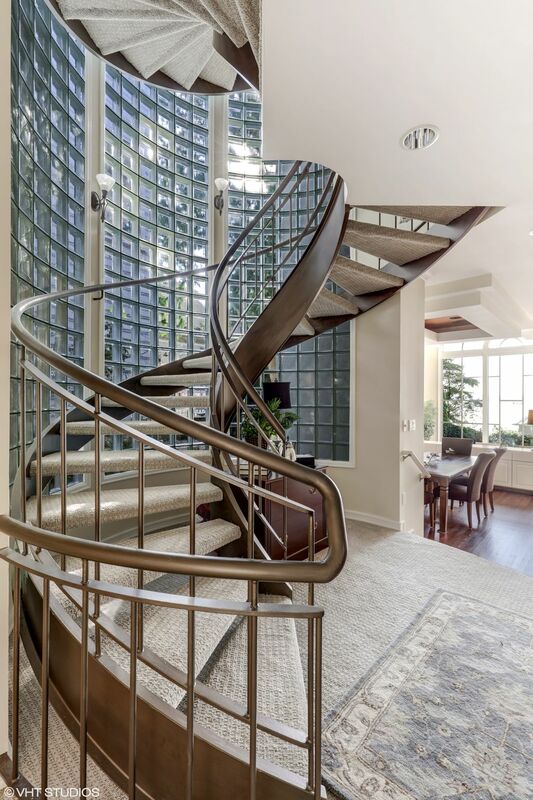 To journey down to lower levels of the home, both the elevator and the fabulous double helix staircase make for an indulgent experience. The second level does not disappoint, and here you’ll find the light-filled family room, the master bedroom, and a guest bedroom. In the family room, you’ll feel on top of the world, with its captivating views out the top of the memorable Palladium window. 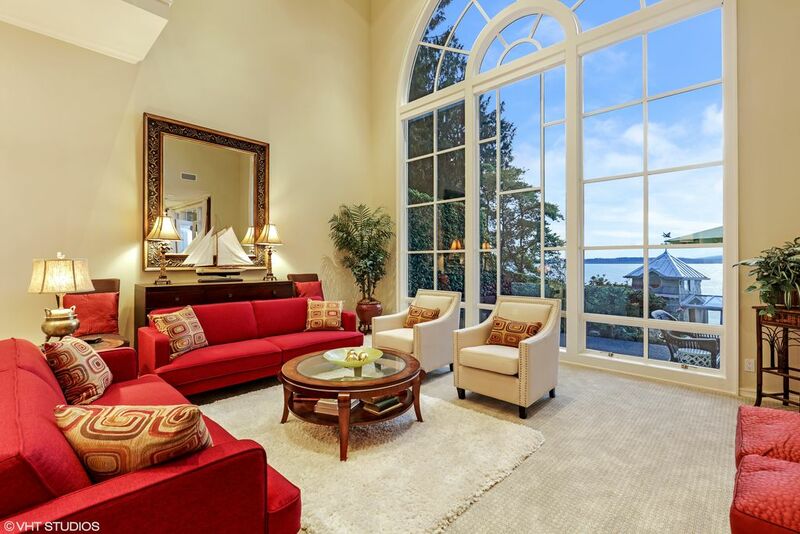 The luxurious master bedroom is within reach from here, offering your own private sanctuary where you can take advantage of this home’s photo-worthy views, including scenes of Alki Point and Alki Point Lighthouse. 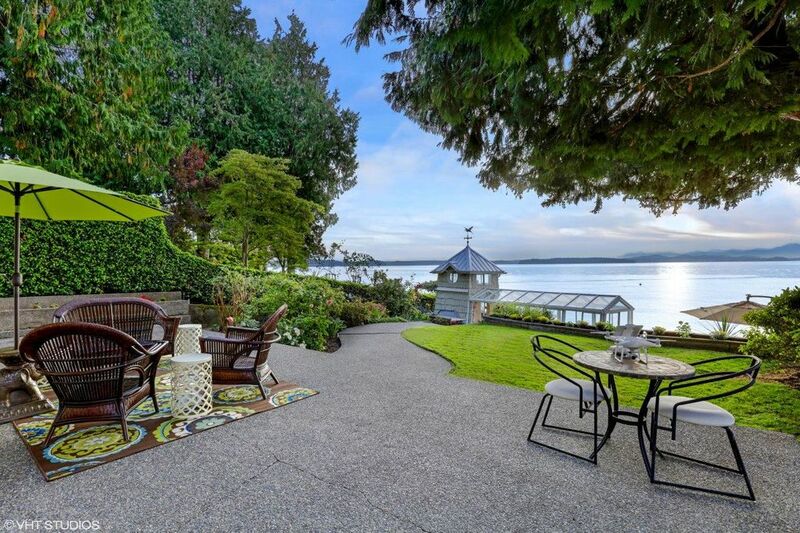 Beach views look toward Vashon Island, Southworth, and south toward Tacoma, a scene that’s made all the more ideal with the glow of the fireplace warming you as you drift off to sleep. 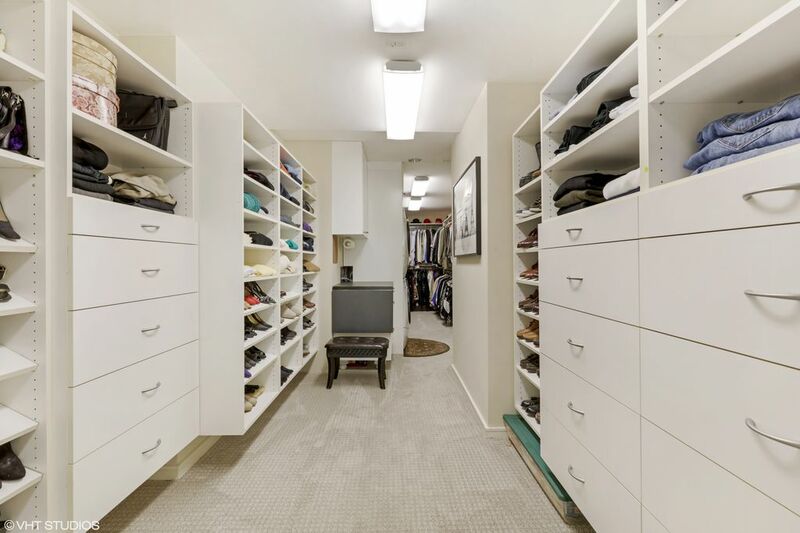 This resort-worthy retreat also includes a spa-ready ensuite bath perfect for unwinding in, and a sprawling master closet is the stuff of dreams! Plus, the second level also includes another bedroom with its own bath, promising that loved ones and guests have their own separate accommodations. 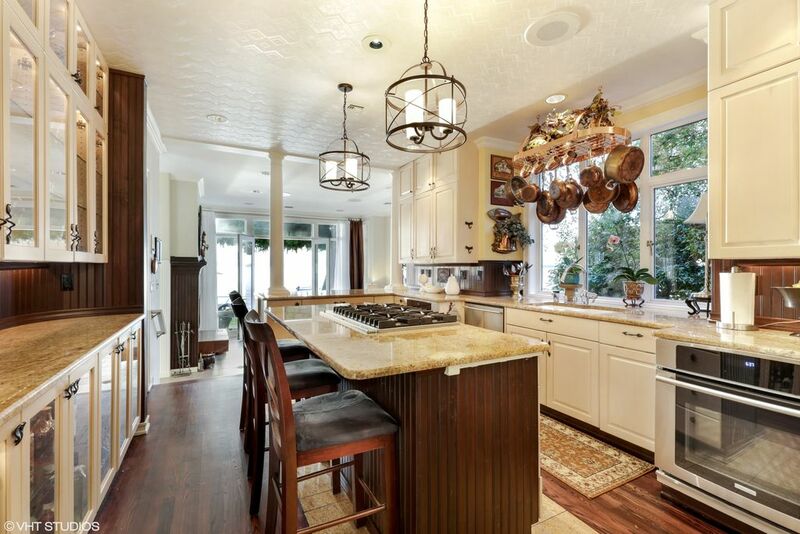 When you reach this home’s lower level, the grandeur simply continues. From the living room and sitting room to the kitchen and dining room, expertly curated spaces await at every turn. 22-foot ceilings and a 20-foot Palladium window make for a truly spectacular setting, with natural light cascading in and shining the spotlight on each exquisite detail. Whether you’re entertaining guests for a sophisticated dinner party or simply enjoying a laid-back glass of wine with a friend, it’s all wonderfully at home in your very own slice of paradise! The chef-ready kitchen is its own state-of-the-art sight to behold, and here you’ll find a Bosch dishwasher, new Electrolux double ovens, a KitchenAid ice machine, a Viking cooktop, a Thermador downdraft, eye-catching new kitchen chandeliers, and sophisticated style straight from the glossy pages of a home decor magazine. Off the kitchen sitting room, tall French doors open outside to reveal the huge entertaining-sized patio. As soon as you step outside, vacation-ready amenities await at your fingertips! Beyond the patio, the backyard haven stretches into the vibrant flower garden and toward the beach cabana. Conveniently grandfathered in, the beach cabana would never be allowed to be built by today’s shoreline restrictions! While the structure has been improved over the years, the footprint remains the same, and in addition to the indulgent spa and ¾ bath, a loft in the tower portion serves as a summertime guest house complete with a dishwasher, small fridge, and a heater. At 6037 Beach Dr SW Seattle WA 98136, you’re just minutes to several parks, and only a 5-minute drive to California Ave. Here you’ll find several restaurants, nightlife, shops, cafes, transit options, the West Seattle Farmers Market, and more!